On the 21st of June, Jeff Bezos, founder of Blue Origin (but more widely known as the CEO of Amazon) was announced as the third recipient of the Heinlein prize for his feats regarding accessibility of space for the common man. His Blue Origin has achieved important milestones in rocket reusability and orbital vessels, but this is far from what makes him and his little known agency outstanding. 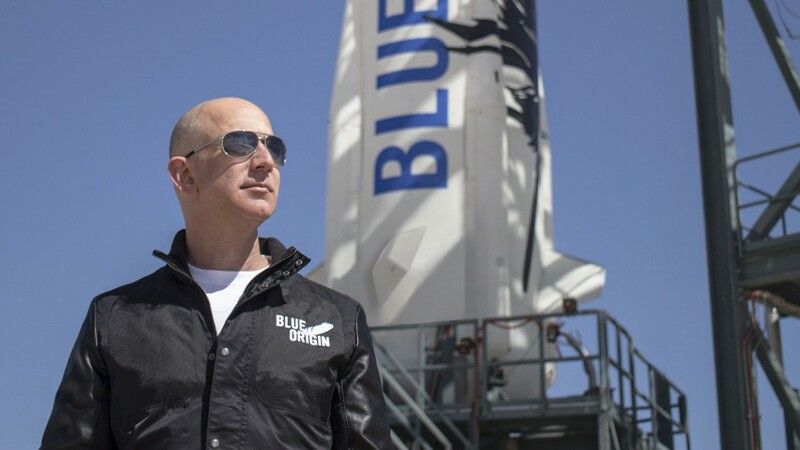 Bezos plans on, along with other private entrepreneurs such as Elon Musk and Richard Branson, kickstarting human expansion into space and beginning a multi-planetary empire. Bezos is certainly ambitious on his expectations for us as a species, but he does have a plan. He envisions a future where mankind is spread across the entire Solar System, maybe even beyond, with Earth being a “residential planet” and heavy industry being confined to inhospitable planets with only colonies to maintain them. Our presence in space would number in the millions, perhaps even billions, with a massive, dynamic and interconnected society communicating and exchanging ideas throughout the vast sidereal space, always expanding into the unknown. This may be an optimistic, adventurous view of the future, but Bezos claims our future lies outside planet Earth. According to him and many other scholars, it is essential to colonise Mars or even the Moon because, essentially, Earth needs a backup much like a computer. As far as we know, Earth is the only planet in the universe that contains life in any way, shape or form, and as such, we can’t risk its destruction with an asteroid impact, gamma ray burst or environmental collapse, since that would be the end of all known life. Which means, we need a colony outside of Earth so that if a catastrophe does happen, at least some humans and animals will still exist and be able to spread and repopulate somewhere else. It is not only a matter of striving for interplanetary greatness, but of survival of all known life, to colonise other planets as soon as possible. So, if we must go beyond the pale blue dot, how are we going to do it? Since we still don’t really have the technological capabilities for building even a basic colony on Mars, we must start with the first frontier – the atmosphere. Blue Origin has already taken steps towards launching heavy weight carrying rockets into orbit, which Jeff Bezos hopes will in the near future start a market for space tourism, where people would pay to go into orbit and enjoy the breathtaking views of Earth beneath their very feet as they float in a confined shuttle. If space tourism becomes a thing, competition will become a propelling force, driving space agencies to go farther and farther until we have the technology to make routine trips to the Moon or even Mars. Then it would be a matter of having the technology to settle, and we will then have taken the very first step towards the colonisation of space. Space exploration is an uncertain and potentially dangerous enterprise, but also extremely rewarding. With the colonisation of the Americas beginning in the 15th century, the mineral and agricultural riches of the New World were so abundant an invaluable that they helped catapult western Europe towards the centre of human civilisation, sparking movements such as the Enlightenment and empire building. Colonising space will be the same. We will revel in the mineral wealth the many planets out there offer, creating planet spanning industrial powerhouses capable of fueling monumental projects, such as building massive colony spaceships or even a Dyson sphere, ensuring an incremental growth of our civilisation. At such a pace, humankind would be present in so many planets and satellites that our species would become essentially immortal. But let’s not get hasty. It’s still 2016, some people still believe vaccines are harmful and racism still lingers in the collective conscience. We still have a long way to go, but as soon as we take the first step, we walk down a glorious path from which we cannot return. There are men and women today fighting for our right to space, and those are the true unsung heroes of this generation. Our progress is slow yet steady, but our future has never been brighter. This entry was posted in Uncategorized on September 30, 2016 by Pedro de Mello. Growing up, my friends and family were very into yoga and meditation. I was raised being told how healthy and helpful both were for the mind and body. I know yoga is good for the muscles as a form of exercise, but the idea that meditation is healthy for your mind never sat quite right with me. 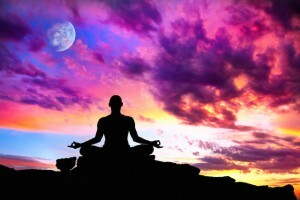 For those of you that don’t know, meditation is the act of concentrating on nothing for long periods of time. Can meditation actually change the makeup of your mind on a bio-chemical level? It seems like such an odd concept as people have been questioning how much we can actually control our minds since the beginning of time. The null hypothesis in this case would be that meditation has no affect on the brain, while the alternative hypothesis is that meditation has some sort of affect on the brain. Supposedly, the way meditation changes the chemical relationships is your brain is fairly simple. Without meditation, the medial prefrontal cortex (or the section of the brain responsible for self reflecting/ thinking about yourself i.e. daydreaming, self evaluating) is very closely related to the Insular cortex (part of the brain associated with the parietal lobes, responsible for touch or feeling) and the Amygdala (responsible for strong, intense emotion such as fear). This is a fancy way of saying whenever you feel scared of a bad physical sensation, you likely think there is a problem related to you. Psychologists have found that with meditation, these regions of the brain become less related. This means that when a problem arises, you’re less likely to think it’s related to you and more likely to look at problems objectively without personal motives. I want to speculate the way psychologists found this out. This idea suggests that meditation trains the mind to have more rational perspective, but are there studies that show concrete evidence of this? I researched and found one study at UCLA observed 3 aspects of the brain (cortical thickness, white matter and gray matter) and found participants who meditated had slowed or even reversed brain-aging effects in comparison with the control group, or people who did not meditate. The way they observed these aspects was not mentioned and in turn, I have to believe this study was correctional. So we don’t know for certain if the meditation was the variable responsible for these effects on the brain. Another study done at Yale University looked at people who had been meditating for extended periods of time, in this case it was at least 10 years. These people had less activity in brain areas linked with things such as anxiety, autism and schizophrenia. While this was observational, another study done at Northeastern University had one experimental group of participants take part in an eight-week meditation program and the control group not do anything significant to increase compassion. Then, they tested their compassion. They operationally defined this variable of “compassion” by placing a person with crutches who was having difficulty in front of the participant and seeing if they helped. 50% of the meditating participants helped the person with crutches while only 15% of other participants helped. Both these studies were correlational and didn’t account for any confounding variables. The second study (about compassion) was extremely susceptible to confounding variables because the way the variable was operationally defined was not a definite way to measure compassion, so the validity of the test has to be put in question. Other influencing variables could have been how the participant was feeling that day/ what kind of mood they were in, the appearance of the person with crutches, etc. Both these studies showed soft endpoints and lots of room for error. So, the question remains. Does meditation actually change the makeup of your mind on a biological level? The conclusion has to be maybe.It’s quite difficult to accept anything as true when it’s a correlation between something completely intangible and immeasurable (in the case, meditation) and a hard endpoint. 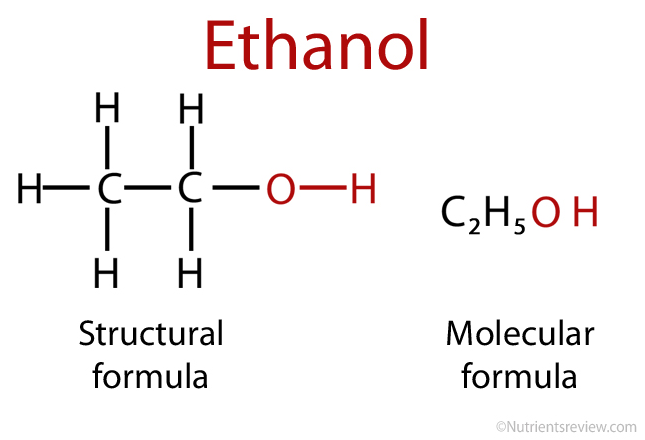 All the studies I found were correlational and I never saw evidence of change on a bio-chemical level. But, these correlations are fairly strong and if the information can be trusted, then we have reason to reject the null hypothesis. It appears something is going on, but like Andrew has said in class, nothing is ever proven, we just have strong evidence that it’s not due to chance! This entry was posted in Uncategorized on September 30, 2016 by Molly Samantha Arnay. Is wearing sunscreen bad for us? In class, Andrew talked about how no one knew smoking was dangerous because the results weren’t prevalent until 20 years later, and this made me wonder what I have been doing that could create health problems for me in the future. I am a redhead, which means that my entire life has consisted of smearing sunscreen on my entire body whenever leaving the house to prevent a nasty burn. For the past 18 years, I have pretty much always been covered in sunscreen, and now I am curious to see if sunscreen could be dangerous. What if the chemicals in our sunscreens actually caused cancer? I first visited the American Academy of Dermatology’s website, where I learned that on average, 5.4 million people will be diagnosed with skin cancer each year, making it the most common cancer diagnosed. Melanoma is considered the most fatal skin cancer and will perhaps affect up to 76,380 people world wide this year. The ACD recommends daily sunscreen application. I wanted to see the data, so I used google scholar to find this journal, The Null Hypothesis was that wearing sunscreen did not effect levels of BBCs, and the Alternative Hypothesis was that wearing sunscreen did effect levels of BBCs. This paper, focusing on the effect of sunscreen, was first published in November, 2006. This study was a randomized experiment, and the participants were 1,621 members of Nambour, an Australian community. 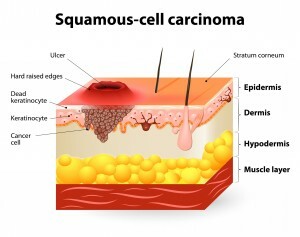 These scientists has conducted a previous study where they discovered that there was a reduction of a type of cell called a squamous cell carcinomas (referred to as a SCC) in individuals that wore sunscreen daily and regularly over the course of four years. The Null Hypothesis was that wearing sunscreen did not effect levels of BBCs, and the Alternative Hypothesis was that wearing sunscreen did effect levels of BBCs. 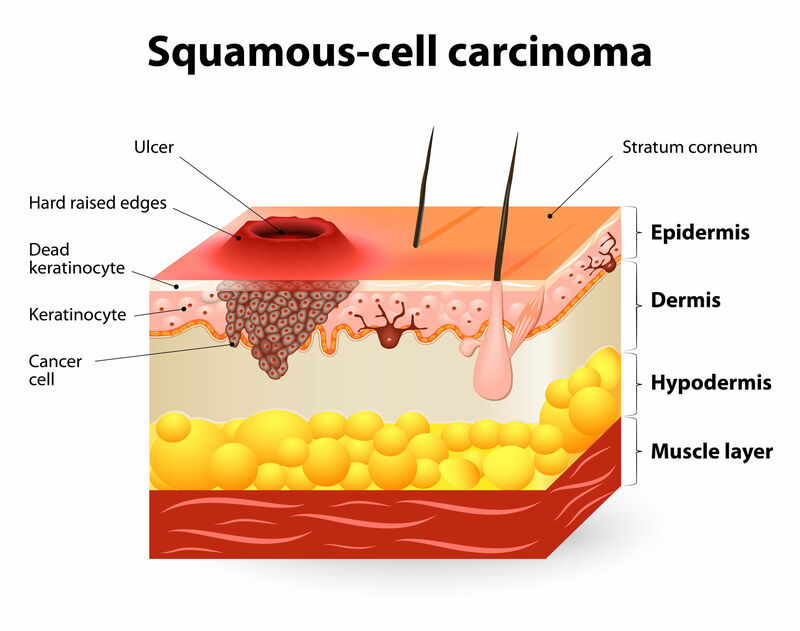 There was not the same type of decrease in the basal cell carcinoma cells (called BBC), but it was identified that BBCs could be delayed when compared to the results from the control group (no application of sunscreen). 92% of the participants followed the study until its completion in 2004. The remaining subjects were exposed to follow ups in their randomized groups. Researchers discovered that those with fair skin (like me) had slightly lowered BBC rates then the participants who did not wear any sunscreen. For this conclusion, the researchers have included the p value, stating that P=0.03. With a low p-value below the usual alpha level of 0.05, the researchers were able to reject the null hypothesis and conclude that wearing sunscreen, especially for people with fair skin did indeed lower rates of BBCs. After reading this paper, I googled, “Is Sunscreen bad for you?” Of course, many biased holistic sites popped up, but I was able to find a TIME Magazine article titled, Is Sunscreen Safe, and Do I Need It Every Day? that addressed the subject. 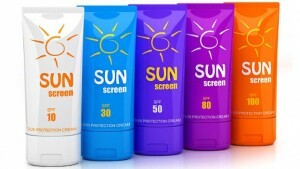 Most sunscreens have nanoparticles, which reflect the sun’s UV lights, preventing skin exposure. According to the EWG, nanoparticles definitely provide great sun protection. Now, scientists worry that nanoparticles are small enough to be actually absorbed by our skin, and easily enter our blood streams. Researchers are more concerned than ever after unsettling results from lab tests on rats. Rats injected with these nanoparticles showed signs of cell distress, which is correlated with cancer. Although there is room for worry, these rats were inhaling and being injected with these particles, and tests have not been done where the particles were topically applied to the rat’s skin. Although we should be concerned with the results on this rat study, more studies have to be conducted before scientists can make any claims. There is evidence that sun screen prevents the development of skin cancer and there is a pretty slim chance that these findings are all a fluke. 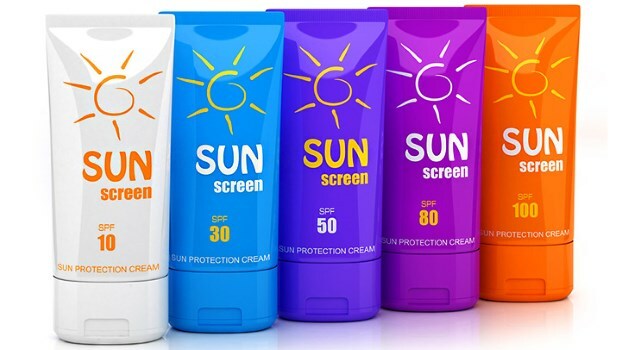 Although it is impossible to rule out chance completely, it seems very unlikely that sunscreen does not have any effect on the reduction or delay of the development of BBCs. 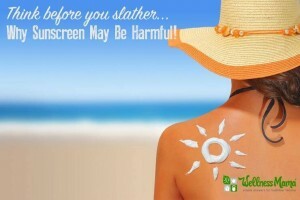 There is just developing research that sun screen could potentially cause other kind of cancers. For now, I will still keep wearing my sunscreen, but I will definitely change my skin care habits if more research emerges. This entry was posted in Uncategorized on September 30, 2016 by Dana Corinne Pirrotta. Test Optional… It’s About Time! I don’t know about any of you, but the standardized testing that monstrously consumed my junior year of high school was absolutely miserable. The trauma of this dark time in my life still lingers today! There’s just no way for a bad test taker like me to truly showcase all of my capabilities on that one booklet on that one Saturday morning. I personally feel that a numerical score should not define people in the eyes of college admissions workers. Can the ACT and SAT truly gauge college readiness? While the SAT and ACT are structured in different ways, they attempt to measure the same thing: aptitude. This Washington Post article delves deeper into the idea of “aptitude” in terms of standardized testing. 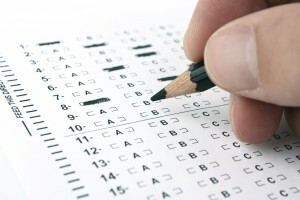 The SAT, which formerly stood for “scholastic aptitude test,” was created with the intent to test college readiness. Basically, creating questions that would evoke the use of academic concepts and logical skills that would be necessary to succeed in college. However, they eventually dropped this acronym when they discovered that aptitude is more than just problem solving or the memorization of facts. So… what is aptitude? Aptitude is intelligence, as one of the most important indicators of college readiness is the ability to obtain good grades and graduate. According to a longitudinal observational study discussed in this PBS News article, standardized tests are not able to properly measure this necessary signal for success. Bates College, an institution that has decided to go “test optional” (meaning it isn’t mandatory to report your test scores), followed a group of students who did submit their scores and a group of students who abstained from sharing their scores through their four years. Throughout their journey, they compared the two group’s GPAs. Finally at graduation, it was discovered that the GPA’s of the test submitters were only a mere .05 percent of a GPA point higher than the students who didn’t report their scores. Therefore, this study shows that a test score cannot sufficiently measure intelligence, at least in terms of grades. With a scientific mindset, this would make sense. In science, the more random samples that are taken, the more accurate the consensus will be. Thus, we would expect a GPA, which is basically an accumulation of samples over the course of four years, to be more reflective of a score sampled from one day of someone’s life. Aptitude is motivation. In order to succeed in college, it’s imperative to be self-driven. However, this PrepScholar blog sheds light on a critical downfall in the ability of standardized test to gauge someone’s proficiency to persevere. The blog asks, how would a college admissions worker determine the kid who got a high score naturally from a kid who worked hard to achieve their high score? This is a very important question that reveals the dark truth of how general a test score really is. A student’s motivation, work ethic, time management, and even creativity are all unaccounted for in a simple number. These are qualities that a college should be looking for, in my opinion and in the opinion of many universities that have decided to go “test optional.” Yes, it is very possible for the naturally high scoring kid to also possess these redeeming qualities, but the test score doesn’t definitely insure that. Therefore, test scores are not the most ideal way to measure the determination aspect of aptitude that would indicate college readiness. Finally, a confounding variable to high performance in test scores could be resources, which could distort the aptitude conveyed in the score. 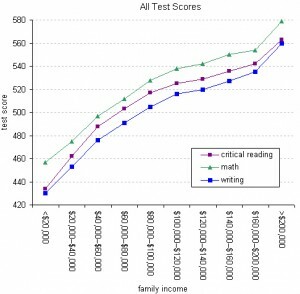 There has been an extreme amount of scientific and statistical analysis on the correlation between family income and test scores, which is based on the assumption that tutoring or other test taking resources put higher income students at an unfair advantage. This New York Times article accumulated research from various studies to produce the graph shown to the right. 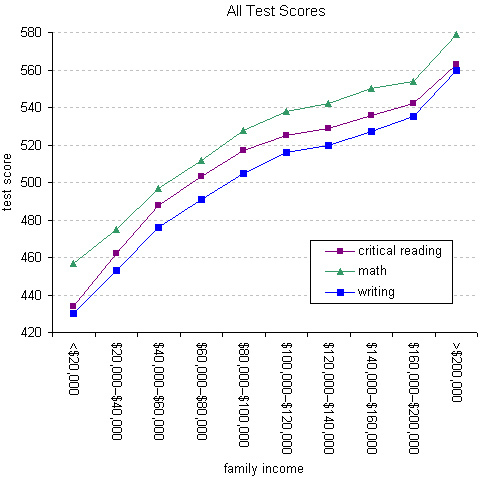 The findings clearly illustrate a strong positive correlation between family income and test scores, as the highest income bracket in math for example scored 122 points higher than the lowest income bracket. The New York Times also reported that the R-squared value of the study was about .95, which is extremely significant. For anyone unfamiliar with statistics, the R-squared value tells how much of the variance in test scores is attributed to family income. Therefore, the fact that this number is as high as 95% is evidence of a close correlation between test scores and family income. In all, the science screams that standardized testing is not a sufficient way to measure college readiness. While there must be some method to the madness because smart people who get good test scores do usually succeed in college, science tells us that there is always the possibility to revise a former theory no matter how much time it has stood before. Personally, I’m excited to see what the future holds in a “test optional” world in terms of developing more holistic measurements to better assess the capability of an individual to succeed in college. This entry was posted in Uncategorized on September 30, 2016 by Hannah Marni Stern. Can Hypnic Jerks be Detrimental to Academic Performance. Have you ever laid down after a long day, and suddenly as you’re dozing off you feel as if you’re falling and your body jerks? This is a benign sleep movement called a hypnic jerk. The causes of this movement are anxiety, stress, alcohol, caffeine, and being very tired or fatigued. (Green 2015) I feel that students may be the most susceptible to this condition. Even though they are said to be physically harmless. Every time I have experienced this I have been kept up for the rest of the night. A lack of sleep can result in many outcomes, especially in students’ academic performance. Lack of sleep has the potential to cause many things that can hurt ones grades. I don’t see how this is possibly harmless. The following observational article describes what part of the brain controls these outbursts and suggests that these phenomena are attributed to other factors in sleep that are unstable. College students on average get approximately six hours of sleep per night, while we all know the recommended suggestion is eight hours per night. This lack of sleep may attribute to more hypnic jerks in college students. There are many variables that may attribute to hypnic jerks in one’s sleep, so it is difficult to pinpoint the phenomena. Perhaps the variables are so confounded it’s impossible to tell which affects how many times an individual experiences this. Also if an experimental trial were to take place, what would the placebo be? I feel like it would be difficult to set a placebo, but the two control groups could simply be college students and non-college students. However, as a college student, I believe we all experience the variables that cause hypnic jerks. I’d love to see an experiment conducted that addresses this. In the month that we’ve been here at PSU I’ve been woken by hypnic jerks more often than I had been at home. I asked my room mates about it and they also have admitted to being kept up. It could be very possible that the amount of hypnic jerks a student experiences and GPA is correlated. Now other confounding variables can be attributed to poor academic performance, but this is a possible component of causation in poor academic performance. I’m really excited to hear what my peers have to say about this. This topic has always intrigued me. This entry was posted in Uncategorized on September 30, 2016 by Alexander Mark Schaefer. Growing up in typical suburbia, I played three sports: soccer, basketball, and (unfortunately) softball. While many amazing bonds were built and numerous championships were won, there were some negatives that came with my township sports teams. 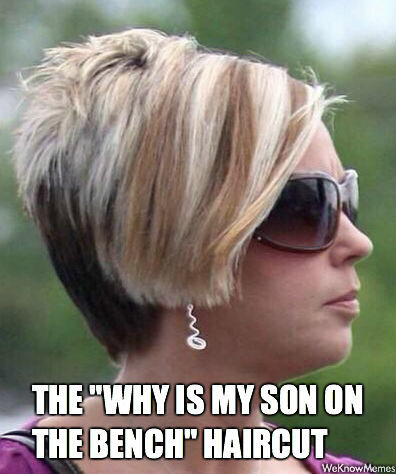 The biggest nuisance: overbearing sports parents. Everyone knows what I’m talking about, the dad standing 5 feet from his son in goal, coaching completely differently from the ACTUAL coaches. The mom scowling and muttering in her fold up chair at the softball field because her daughter was benched after three consecutive strike outs at bat. The parents at the pizzeria after the basketball game, bragging about their children’s personal stats as opposed to celebrating a TEAM win. It’s insane. When did youth sports stop focusing on the growth and development of children and start honing in on the competitive nature of parents? This, SC200, is a psychological term known as narcissistic parenting, and I was a victim of it. Luckily, I was never remotely good enough at any of the three sports I played to be extremely affected by narcissistic parenting, but plenty of young children grow up to be insecure adults as a result of their parents’ self-absorption, and many childhood athletes give up their sport because they’re tired of performing for their parents instead of for themselves. In fact, according to Jay Atkinson of the Boston Globe, of the 45 million kids that play youth sports in America, about 80 percent have given up on their “passion” by age 15. This fact stunned me. 36 million kids quit sports before they even hit high school, and a huge factor in their decision is their own parents’ narcissism? What could the mechanism be? Kelly Wallace of CNN has made an interesting, reasonable case. 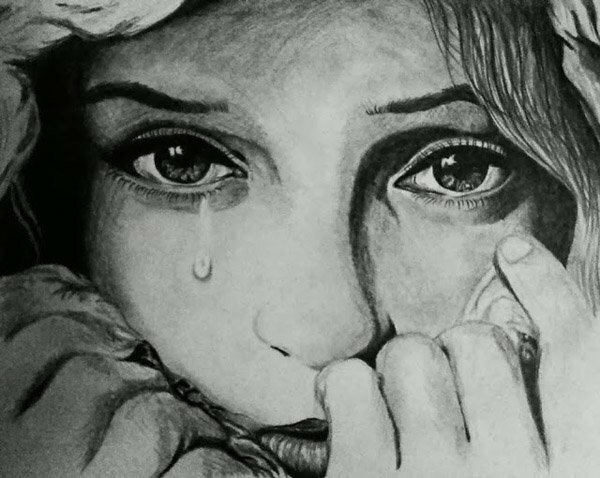 She has inferred something that I have often thought about myself, that narcissistic parents live vicariously through their children because they have felt unsuccessful in their own lives. 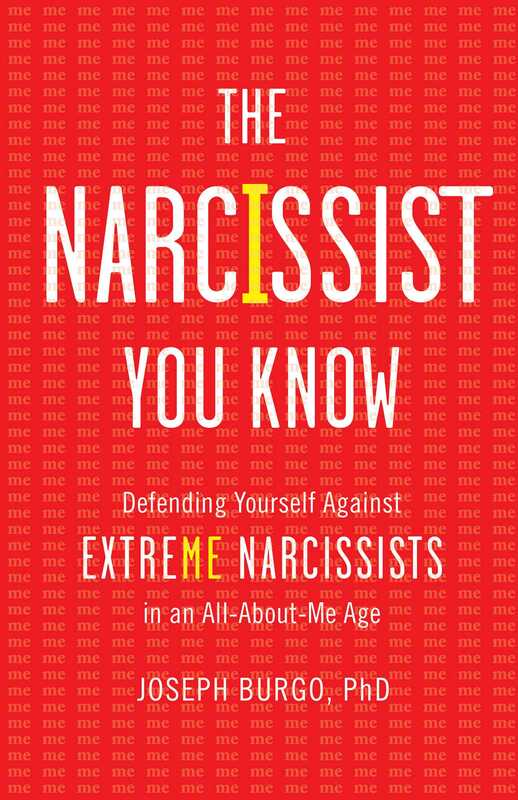 Wallace cites Joseph Burgo, author of The Narcissist You Know: Defending Yourself Against Extreme Narcissists in an All-About-Me Age, as confirmation for her theory. Burgo believes that narcissistic parents spend their child’s formative years grooming her into the person they wish they had been. He also hypothesizes that a distressing, chaotic childhood could lead a parent to narcissism in order to mask lingering insecurities. Since I couldn’t find any concrete studies that delved into the extensive science behind narcissistic parenting, I’ve decided to talk about how I think a study could be conducted. A possible explanation could be the way narcissistic parents were treated when they were children. If I was in charge of the study, I would treat the supposedly “unsuccessful” lives as the independent variable and narcissism in parents as the dependent variable. This would give us the following options. Direct causation: “unsuccessful” lives causes narcissism in parents. Reverse causation: narcissism in parents causes ”unsuccessful” lives. Confounding variables that could have an effect could be competition between parents, social norms, or depression affecting self-image. As always, chance is an option. An experimental study wouldn’t necessarily be possible, because the causal variable could not be easily manipulated. Instead, the study would have to be observational. One way this study could be conducted could be through the use of two random surveys. The first could be advertised through different platforms, and preliminary questions could be used to weed out non-narcissistic parents. These questions could focus on how parents treat their children in competitive situations, how they feel when their child “fails,” and their thoughts on their own needs versus their children’s. The second could be used to calculate baseline statistics on the cause of narcissistic parents, by focusing questions more on the history of the parents rather than their relationships with their children. This study seems as if it could be difficult to conduct, especially considering parents may feel inclined to answer questions in an anti-narcissistic way. However, I do think it would be extremely interesting to have a little more science backing up this topic of parental narcissism. 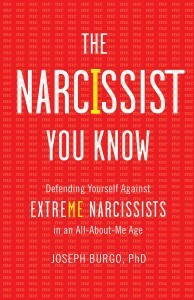 While we wait on that, we can avoid becoming narcissistic people ourselves by taking the advice of Burgo, who believes that a parent’s paying more attention to the well-being of his or her child instead of catering to his or her ego is the first and greatest step to eliminating narcissism. This entry was posted in Uncategorized on September 29, 2016 by Mary M. Brown. As we slowly approach the fall season, Penn State has become vulnerable to a variety of illnesses: the common cold, flu, stomach flu, and cough. Coughing has almost become synonymous to breathing in large lecture classes- one person coughs, then another, and another…soon enough every few seconds that pass by accompanies an eruption of coughing from various sections of the lecture. Personally, I was a victim of the “whooping cough” at the start of the semester, which came as a terrible inconvenience. While I was sitting in class, I felt the uncontrollable urge to cough every minute, which was uncomfortable for me and the unfortunate people sitting next to me. Something I noticed in particular was that the sound of someone else coughing in the lecture hall prompted me to start coughing. While I initially believed this was just a reaction of my own body, I soon realized that coughing is almost “contagious”. One person’s cough begins a string of coughing, and it seems to spiral into eruptions of coughing from all sides of the room. So, is coughing really this contagious? Does the sound of coughing initiate a certain switch in the brain that causes an individual to start coughing? Could it be that coughing is as contagious as the “yawn effect” (one person yawning causes another person to yawn almost immediately)? 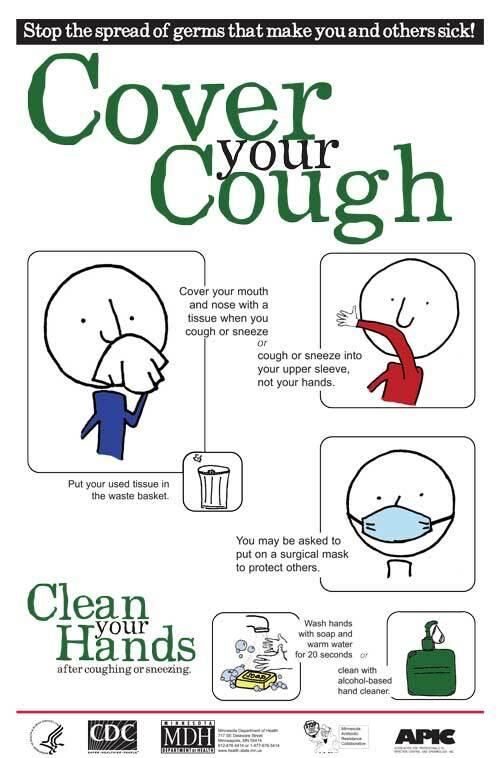 According to the World Osteopathic Health Organization , whooping cough, a more severe case of the common cough, is one of the most contagious and highly communicable diseases within a college enviornment. Not only is whooping cough a bacterial infection, but it is also highly contagious among individuals. The symptoms of whooping cough include (but are not limited to): difficulty breathing, severe sore throat, continuous coughing, loss of vocal communication, and soreness in the ribs/chest due to severe coughing. Since it is such a highly contagious illness, bacteria is easily transmitted through the act of coughing. 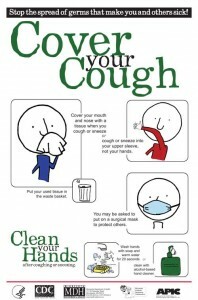 In college enviornments, individuals are more vulnerable to the symptoms of whooping cough, especially since students are in such close proximity of one another. The “contagious” factor of coughing stems from a variety of reasons. First, the theory of psychologial mirroring, described by NBC News, is a possible reason for the contagious nature of coughing. As humans, we are prone to the social cues and behavior of other individuals. For example, one person yawning may elicit a yawn from another person. Similarly, laughing, crying, and a wide range of other emotions can be seen as having a “mirroring” effect on individuals. One theory towards the contagious nature of coughing is that humans tend to mirror actions of others. Similar to the mirroring of emotions, individuals may hear the sound of coughing, which prompts them to act on the tickle in their throat, or to simply clear it. Additionally, if you’re sick to begin with, the sound of coughing will elicit a response from your body to remove the “toxin”, hence, the coughing. So, what’s the bottom line? Is coughing contagious or not? Surprisingly, according to Medicine Net, the cough itself is not contagious. 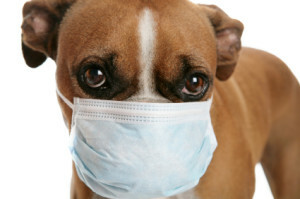 The real culprit that’s being transmitted is the pathogen in the cough. When individuals cough, pathogens are spread into the surrounding environment initiating the transmission of bacteria. If there were to be a clinical trial that measured the contagious nature of coughing (highly unlikely due to the lack of substantial independent/dependent variables), a hard endpoint conclusion could be the following: the act of coughing is not contagious. Pathogens, found in the airborne fluid that is emitted by coughing, are the true transmitters of the virus. …and if you ever find yourself a victim of the whooping cough, find comfort in the fact that you’re not alone…just ask the other 50 kids in your lecture class that are struggling to contain their cough. This entry was posted in Uncategorized on September 29, 2016 by omz5012. Coming from a fellow chicken owner, the freshness of a chickens egg is very important to me. My family has been raising chickens in our backyard for the past five years. Mostly for my dad’s nostalgia from his childhood on the farm, but also for fresh, cage free and GMO free eggs. When we first got chickens, I was really interested in finding out if the eggs would taste, or even look different from the ones we bought at our local Wegman’s. To my surprise, they looked and tasted very different from each other. The egg from my chickens in my backyard, had a dark and thick yolk, which did not break when I cracked it in the pan. The store bought egg, or the caged chicken’s egg, had a really light colored and runny yolk, which immediately broke when I cracked it into the pan. After I fried the eggs, I found out I much preferred the taste of my cage free chicken’s egg more than the store bought egg. So I thought to myself, even though both eggs are coming from the same animal, does the upbringing and treatment of the chicken impact the health and nutrient aspects of their eggs. Could the lack of nutrients in the caged chicken’s egg be a result of a difference in taste and texture? First, I compared the chickens two different living situations. My ten chickens at home have a 4×8 coop, containing four large nesting boxes and a 20×10 gated area outside around the coop. As well as a whole acre of grassy backyard to run around in when we let the chickens free range. I looked up how large the industrial chicken cage sizes and found it here. Basically, they have 67 to 76 square inches to live in on average, where almost all of their entire life is spent. 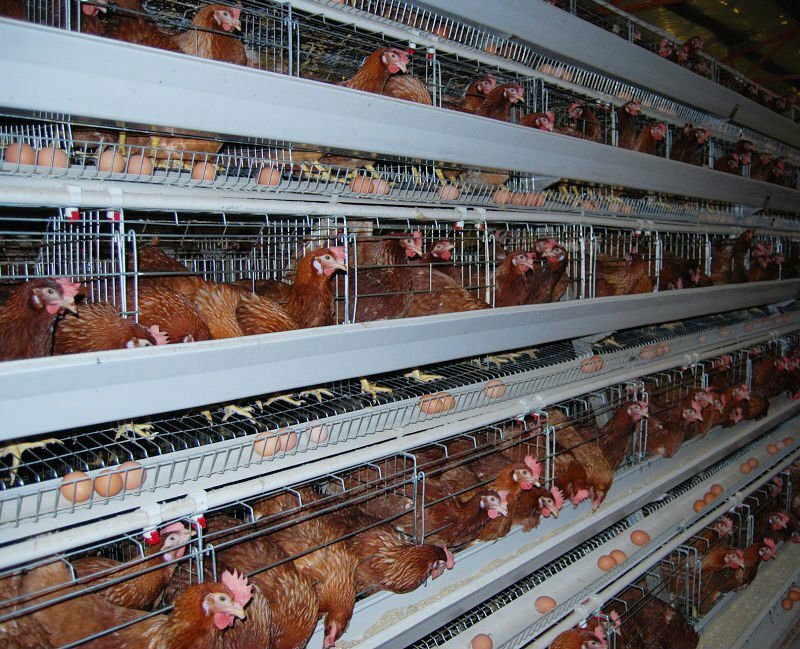 These absurdly small cages prevent the chickens from spreading their wings and can lead to their muscles not fully developing and becoming paralyzed. 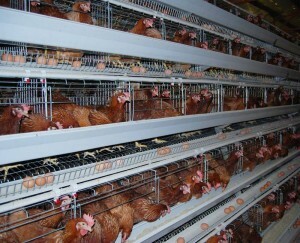 These tiny cages the chickens live in are called battery cages, where they are mentally and physically abused. Here is a very graphic video of how commercial caged chickens are treated. 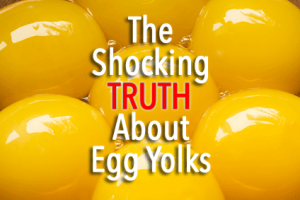 So, what does this have to do with the health and nutrients you are receiving from the eggs you eat? I searched the internet and found some answers here. Basically, it is proven that cage free chickens produce eggs that are much healthier and contain more nutritious benefits then caged chicken’s eggs. Some nutrients the cage free chicken eggs contain that the caged chicken eggs do not, is that they contain twice the amount of omega-3 fatty acids, three times more vitamin E and seven times more pro-vitamin A beta-carotene. Also, these eggs contain a quarter less saturated fat and a third less cholesterol, which is a lot better for your heart health. The falling short of nutrients in the egg of the caged chicken is directly linked to the raising and treatment of these animals. For example, this is just like fetal alcohol syndrome. This is where the fetus’ lack nutrients because of the poor raising of the child, which is drinking alcohol when pregnant. Here are some test and experiment run which prove that cage free chicken eggs are better for you then caged chickens eggs. This entry was posted in Uncategorized on September 29, 2016 by Audra Wren Laskey. Today, as I was scrolling through my Twitter timeline, I decided to stop and watch a video of individuals becoming hypnotized. They were on stage acting out crazy demands, such as shouting song lyrics or pretending like they were animals. It was certainly entertaining, to say the least. But I wondered, was this all part of an act, or was it actually real? Could people really be embarrassing themselves on television without being aware? I decided to do some research to find out. First, I decided to find out what exactly hypnosis was. 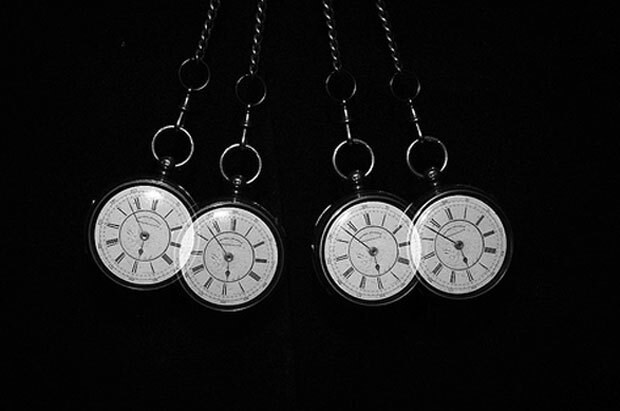 According to How Stuff Works, hypnosis can be described as a way to enter the subconscious mind through a dreaming state, where the feelings of relaxation and imagination are heightened. 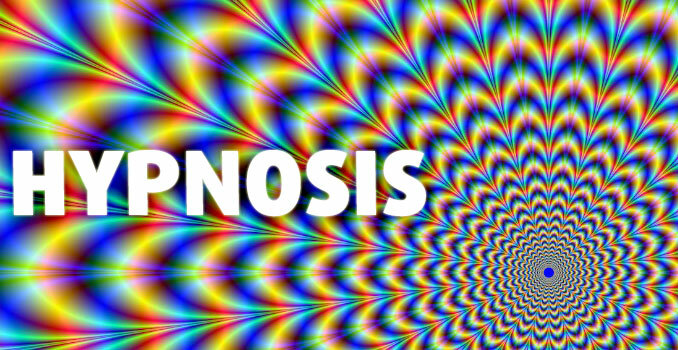 So, in other words, hypnosis can be compared to daydreaming, reading, or watching television. In these stages, we are still conscious, we are just paying more attention to the activity that we are doing instead of what is around us. That’s basically what we experience during hypnosis, except we are more focused on the hypnotist rather than our surroundings. I also found in the previous article that hypnosis occurs in the subconscious mind. Our subconscious mind, according to Brain Tracy, recalls all of our memories in complete clarity. In my psychology class, we learned that the function our subconscious mind is to save and gather information. Furthermore, the Brain Tracy website states that it is emotionally connected to us, so it behaves according to the way we are feeling in any given moment. 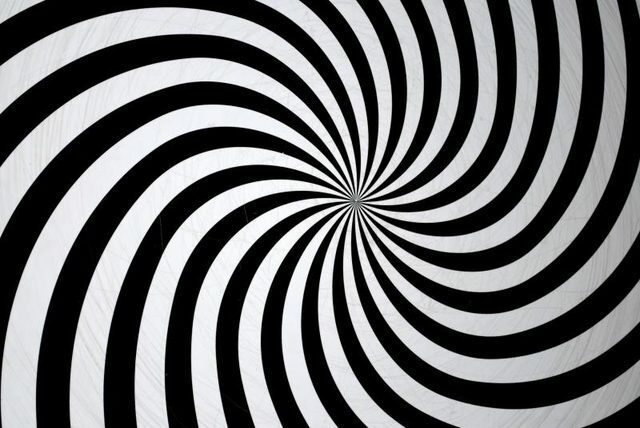 So, since hypnosis involves channeling the subconscious mind while we are in a calm, relaxed state, we are more prone to do what a hypnotist tells us to do. However, it is important to note that all the sources I’ve cited thus far agree that hypnotists cannot actually make a person do something he or she fully does not want to do. Therefore, since there is an obvious correlation between responding to demands and being under the state of hypnosis, it can be assumed that it is certainly plausible that there is some truth behind the practice. On the other hand, since we learned in class that all correlations do not equal causation, we can’t roll out the fact that there could be confounding variables in these observational studies. These confounding variables (such as the fact that individuals could be acting during the state of hypothesis for attention) could influence the results in order to show that individuals responded to the stimulus in a certain way, when they did not. Furthermore, I think it’s important to not that the experimenter (or in this case, the hypnotizer) is most likely bias. Think about it – if you were hired to perform an act in front of large audiences, wouldn’t you want to make it seem like the results of hypnosis were actually working? In class, we discussed how detrimental biasses can be when conducting a study. Since it would be hard conduct this type trial that is double-blind and randomly controlled, we can’t look at any of these results as completely accurate. However, it could be beneficial to simply know that there is a correlation between hypnosis and responding to demands (so, if it’s more entertaining for you to believe that the people on stage are actually under a state of hypnosis – it’s not entirely implausible!). Although hypnosis performances are not entirely proven (I could not find much evidence that actually proves hypnosis works on people), nonetheless, there are some known benefits, according to WebMD, Hypnosis can be known to assist those who are suffering, especially mental health patients. Through Psychotherapy, negative feelings associated with pain (including PTSD), sleeping disorders, anxiety, depression, stress, phobias, and any addictions can be reduced. 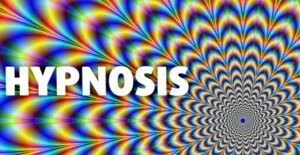 I found, through WebMd, that there are typically two different types of hypnosis therapy that patients can experience to help with their problems: suggestion therapy and analysis. Through suggestion therapy, patients are more likely to stop addictions. When they are in the more relaxed hypnotical state, they are more apt to respond to suggestions. The other approach, analysis, also uses the relaxed state of mind to dig through a patient’s past. This way, the therapist is able to find what caused a certain traumatic event. Once the event is targeted, the patient and therapist can work together to overcome the problem. Although hypnotist therapy can be very beneficial in mental health patients, there are several downsides to this practice, according to WebMD. 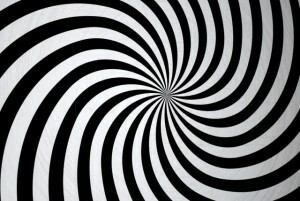 Hypnosis can cause hallucinations, and can cause people to create false scenarios when trying to recall a certain event. So, overall, maybe everything we see on Twitter isn’t real. But it is interesting to see how and why hypnosis affects us, and the positives and negatives hypnotic therapy can bring. Photo 1, 2, and 3 can be found here. This entry was posted in Uncategorized on September 29, 2016 by Rachel Marie Aul. We all heard it growing up, if you want to fall asleep quickly, count sheep. Usually, people picture sheep jumping over a fence, one by one, and this counting it supposed to soothe a person into a deep slumber. But does it actually work? Well, the short answer is no. It doesn’t. The phrase originated from a 12th century book of fables, Disciplina Clericalis. The book contains a chapter in which to get the king to fall asleep, a storyteller talks about sheep and the second he does, the storyteller himself falls asleep. In ancient times, Shepherds had to keep track of their flock by counting sheep constantly and it was thought to be such a boring task that it would put a person to sleep. Since then, the times have changed as well as the validity of this tactic. Scientists at Oxford University did a study in which 41 insomniacs were split into groups. Some were told to count sheep to fall asleep, some weren’t told to think of anything specifically and the others were told to picture a relaxing scene, such as a beach. They found that the people who pictured nothing or had to count sheep didn’t have any improvement in falling asleep, but the people told to picture a relaxing environment fell asleep much quicker than the others. There are a few flaws to this study, one being that you can’t actually make anyone picture or think about what you tell them to. You can give a person instructions but in this case, the scientists can’t be sure that the subject followed them. But the more I searched, the more I realized there was no evidence to counting sheep helping sleep and lots of evidence to imagery helping sleep. So this is odd, why is such a widely believed wives’ tale appear to be false? Perhaps it’s because counting sheep is such a mundane task that people can’t do it for very long and the impulse to have to revert back to it keeps the mind occupied and therefore, unable to fall asleep. Michael Decker, Ph.D., thinks counting sheep may not work because keeping track of them is work. This work may stimulate the mind and in turn, make a person unable to fall asleep. Keeping the brain active while trying to fall asleep has proven more harmful than helpful. So if counting sheep isn’t the way to do it then the question has to be asked, what does make a person fall asleep? Well, many suggest that imagining a calm scene helps a lot. But what else? Something most people do right before bed that can be a huge inhibitor of sleep is looking at a screen. Even more than counting sheep, a screen stimulates the brain and keeps it active, telling itself “there’s light, so it’s time to be up and awake!” Giving the body time before sleep with no screens or distractions is very helpful. Clinical psychologist, Janet Kennedy suggests taking a full hour before bed time to settle down the mind and body. This time is supposed to help the body transition from day to night. It seems winding down the body and mind (picturing calming scenery, not looking at bright light) is the best way to ensure falling asleep but many people don’t have the luxury of time to wind down. Going from day to night quickly, light to no light, can be shocking to the body. Most modern humans have artificial light in their lives (their homes, offices, stores, etc.) and it triggers the mind to stay awake during biologically unnatural hours (humans are supposed to be asleep at night). Turning lights off abruptly and ordering the body to rest may be a harsh way to get introduced into a night’s sleep. How does one fix this? Evidence suggests that practicing imagery and calming breathing exercises throughout the day actually helps one fall asleep at night. If a person can remain tranquil during the day, with light constantly surrounding them, the transition into the night and darkness is much easier. Our bodies are not as easily manipulated as we may think and sometimes we need to train ourselves into certain behaviors. Falling asleep is definitely one of these behaviors that many people need help with. I may have gotten a little off topic there and of course, these tactics aren’t a way to always ensure a good night’s sleep. There are many confounding variables that can determine how well a person can fall asleep (ex. uncontrollable noise or light in the room one is trying to sleep in, physical pain at the time of sleep) but the integral concept remains. 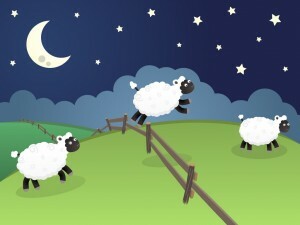 Keeping the mind active at night, even just the simple act of counting sheep, can really hinder sleep. The best way to prevent this is to give yourself time before falling asleep to relax and even stay relaxed throughout the day. Remember this when you just can’t seem to get to sleep! This entry was posted in Uncategorized on September 29, 2016 by Molly Samantha Arnay. What do you think of when you think about yawning? Normally when you think the reason why this person is yawning is because they are tired. However being thinking about yawning an being next to a person when they yawn are completely different things. Contagious yawning is when we see yawn and we immediately yawn as well. I think that most can agree that contagious yawning is the most annoying traits that humans have because it makes us look and appear tired when we are not, and it is considered rude. A study was conducted by Brian Rundle, who used one hundred and thirty five people to see if seeing the people yawn, would make them yawn as well. They were able to conclude that not only if you were rated high on the test that you were less likely to yawn when watching other yawn, but also that just because you do not yawn means that you are a psychopath. From the article Rundle also says that because there has only been one study on this that it is hard to say that someone who yawns and does not yawn is actually crazy. I agree with him because you can never know if someone is crazy until they allow you to see that side of themselves. However through a new study, scientists have determined where contagious yawning comes from. From the article Brian Rundle, said that the reason why we yawn is related to how much empathy we feel at that moment. But in this article, it does not go into detail about yawning and how it is connected to other human traits, but from this article we learn that yawning is something that is almost a privilege. 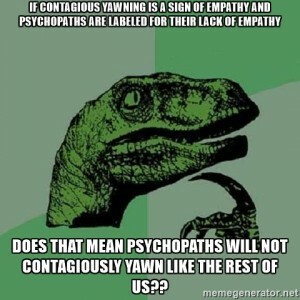 It was determined from a recent that psychopath’s do not react to contagious yawning. The reason being is that they do not feel empathy. This makes sense because when we think of psychopath’s we do not think of them as being very emotional. However it does not have to be just psychopath’s, anyone who is cold-hearted or lacks compassion are less likely to yawn after watching someone else yawn. Not to say that everyone who does not yawn is a psychopath or cold-hearted, but this article talks about how people with psychopathic emotional traits or people with autism are more likely to not yawn. Most of the time it is because they do not understand that is going on so when they act how they feel, they think they are doing the right thing when in reality they are not. Even babies do not learn how to yawn until they are around four or five years old because that is when they gain empathy. It is hard to say for sure that because you do not yawn at most of the things that other people do, that you are a psychopath. In reality that person could be completely normal, it is just that they are not as empathetic as others. 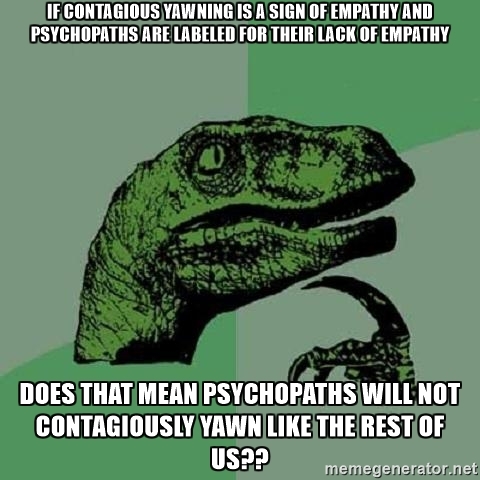 There could also be a third variable that are in play when it comes to people who do not yawn or to psychopath’s. For yawning they could not just not be focusing on the person yawning or they are good at not yawning in public. When it comes to psychopath’s, anything could cause the person to not feel empathy. An example could be a traumatic childhood experience. It is good to keep in mind that not everything is what it appears to be and sometimes judging people by yawning is not the best way to decide if they are crazy or not. The Snoopy picture is found here. 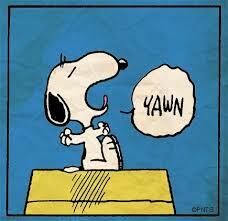 The “Can you yawn for me?” picture is found here. The dinosaur picture is found here. This entry was posted in Uncategorized on September 29, 2016 by Emily Fiacco Tuite. Nobody appreciates sleep as much as a college student. 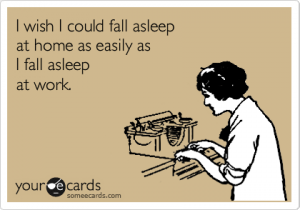 With that being said, no one sleeps less than a college student … OK, maybe a mom of a newborn baby. Point is, sleep in college is always like chasing someone you really like that plays hard to get. Personally speaking, the only time I am able to sleep the recommended 7-9 hours a night is on the weekends -given I don’t have dance practice that next morning. I know very little about the human body, but I figure that has to be terrible for my overall physical and mental health. So for this blog post I figured I’ll find out just how important sleep is to human body, just how much sleep do we really need and am I going to die early because for the lack thereof? What Does Science Say About Sleep? The American Sleep Association recommends 8 hours as the optimal amount of rest needed to prevent sleep deprivation. However, recent data received from National Institute of Health, the American Academy of Sleep Medicine (AASM), and the Sleep Research Society indicate that the old recommendation of a solid 8 hour a night isn’t necessarily the case for everyone. Researchers are starting observe that the amount of sleep that a person requires depends on their circadian rhythm -your body’s internal clock. Author of Sleep for Success, James Maas, PhD, former professor and chair of psychology at Cornell University says the proper amount of sleep is defined as what is needed for an individual to remain awake, refreshed and focused without the aide of stimulants, such as coffee or energy drinks. He added that if you aren’t able to stay awake, alert and focused from solely the amount of sleep you received the night before then you are suffering from some form of sleep deprivation. So, literally meaning me, everyday in college. So How many hours of sleep do you need? The National institute of health says that the average adult sleeps roughly 6 hours a night. And while this may seem like enough given how fast paced everything is in society today it is proven to be that most healthy adults need between 7.5 to 9 hours of sleep each night to function at their best. In fact researchers at the University of California, Sans Francisco discovered that only 3% of the worlds population has a gene that allows them to be able to do well on only 6 hours of sleep a night. Meaning that the rest of us, 97% of us, need that recommended 7.5-9 hour rest to be fully great. With that said, the chart below indicates that the younger you are the more sleep you need to meet your full potential awake. Sleeping allows for cerebral spinal fluid to be pumped at a much higher/quicker rate than when you are awake. Your brain makes brain cells, the cerebral spinal fluid being pumped throughout the brain acts as sort of a ‘dishwasher’ ridding your body of the waste products created by these brain cells. Allowing you to wake up feeling refreshed and in sense, literally ‘clean’. When sleep deprived your brain isn’t on it’s ‘A game, your mind slows down a lot; you become forgetful and skills you may normally have when fully rested (good speaking capabilities, writing, etc.) 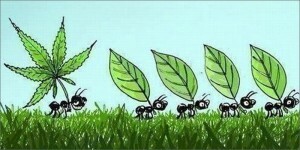 are impaired slightly. Maas says there’s also sort of a reduction in your decision making capabilities due to your lack of focus. Sleep deprivation effects your response time and messes with not only your form but your motor skills. Which explains while driving while sleepy is single handedly one of the hardest things one can do. Nothing works, rolling down the windows, blasting music, nothing but a good nights rest. While awake breathing patterns tend to vary significantly. For example, physical exercise, fear, excitement speeds up breathing rate. While you are asleep however, your breathing rate is slowed and regulated. Your heart works extremely hard during the day and during the Non-REM cycle part of sleep your heart gets a well deserved break. Sleeping allows your heart to be reduced as well as your blood pressure. The more you sleep, the more and better equipped your body is to repair itself. Growth hormones, that work to build and strengthen your muscles and joints are released while you sleep. Cumulative sleep deprivation over time can lessen your body’s ability to fight off an infection. Josiane Broussard, PhD, researcher and assistant professor at the University of Colorado at Boulder, found that sleep deprivation -more specifically one night of no sleep, was just a detrimental to a person as having a high fat diet. Meaning that pulling an all righter can result in insulin sensitivity, a key predictor of type-2 diabetes, just as much as six months on a high-fat diet. Which was SHOCKING for me to learn. I can give it to you 6 different ways, but no matter which way I put it, scientifically, psychologically speaking, SLEEP IS IMPORTANT. We all, myself included, are guilty of accumulating a large amount of Sleep Debt, and instead Just shaking it off, going “I’ll catch up on sleep this weekend.” But that is not how your body works; you can not make up for continuous sleep deprivation with one night of full rest. The science shows that there is a direct causation between the amount of sleep on gets and the productivity of their day and mind. I understand we are all in college and have busy, demanding school, work and social schedules, but it is rather imperative that we take care of ourselves if we have any hope of succeeding at any of these endeavors. This entry was posted in Uncategorized on September 28, 2016 by Stephanie Keyaka. Our most recent pop quiz in SC-200 included a blog post from the past where the author wrote about the differences between male and female study habits and grades. On my long, peaceful stroll back to my dorm from class, I reflected on this. I began to ponder about other proven differences between males and females. I immediately remembered a conversation I had with my parents at the dinner table: I have a twin brother, and we began driving at the same time. However, my car insurance cost less than my brother’s. We were the exact same age with the exact same amount of driving experience. We even shared the same car. Why did his insurance cost more than mine? Why was the risk my twin brother posed as a driver greater than the risk I posed as an eighteen year old female driver? I have no personal opinion as to whether guys are better drivers than girls. But I’m curious to see what the statistics say. According to DMV.Org, a website independent of government agencies, there are many statistics that support the increased insurance rate for males. First, over 70% of deaths resulting from car accidents were caused by males in 2012. Young female passengers were slightly more likely to wear seat belts than young men. 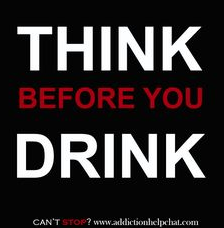 Nearly 40% of males who died behind the wheel were driving while intoxicated, and for women it was only 20%. Also, men who died in car accidents were almost twice as likely to have been speeding than women. The article also interestingly states that men are more likely to buy cars that cost more to insure than the cars women buy. 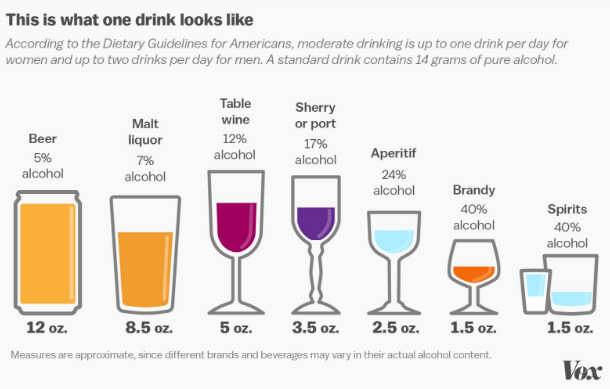 One confounding variable could be the tendency of each gender to consume alcohol. 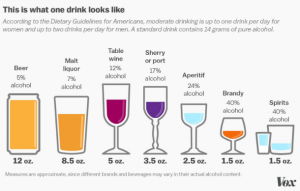 According to a study conducted that I found on the US National Library of Medicine National Institutes of Health, men are simply more likely to drink, and to drink more heavily, than women. Women were more likely to refrain from drinking all together than men. So, great. Young men are more likely to get in accidents than women in many different ways. But why? Is it something biological? Does it have to do with decision making or attention span? Based on observing my father and mother drive for my entire life, my hypothesis is that (young) men might have more confidence while driving than (young) women and therefore drive with less caution. My dad seems entirely more sure of himself than my mom does sometimes, and my dad tends to take more risks behind the wheel than my mom. However, I also think that young women might have more ways to get distracted behind the wheel, so the causes for their crashes are more likely to be distractions than dangerous driving. For example, I often see girls adjusting their hair or fixing their nails or doing their makeup behind the wheel. These distractions could be confounding variables. But these variables would make female crashes more likely than male crashes, right? So why are young men crashing more, and paying more for insurance? Olga Khazan of The Atlantic wrote about a study conducted and published in the Journal of Adolescent Health. Car accidents among 16-18 year old drivers who were either driving by themselves or with 14-20 year old passengers were examined. They essentially determined a few categories of causes for the accidents including car-interior distractions like cell phone use, car-exterior distractions, aggressive driving, inability to focus on driving, and reckless driving/illegal actions performed behind the wheel, such as going through stop signs. Surprisingly, aggressive driving was the main cause for male drivers to crash more–when there was a female in the car with them. So basically, male drivers attempt to impress females with aggressive driving, which causes them to crash! To any boys out there who think I would be impressed by dangerous driving–I’ll walk, thanks. Male drivers also experienced more interior-car distractions when there was a female inside the car. They were more distracted when by themselves, however, than when they were driving with other boys. 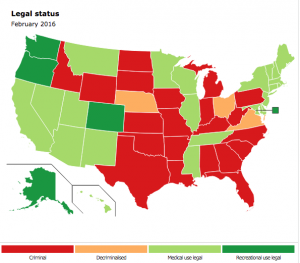 The chart on The Atlantic indicates, though, that they were more likely to do illegal things while driving with other guys in the car. Females weren’t likely to ever drive aggressively according to the study, and were more likely to get distracted by car-interior distractions if a male was present in the car with them. The article suggests that a confounding variable for the study might be increased texting behind the wheel. A simple conclusion I was able to draw from all of these stats is that opposite sexes seem to really distract each other in the car. Teenage hormones, I suppose, are to blame. Young males are often more dangerous drivers because they are more likely to attempt to impress others with their driving. For some reason, they tend to think that dangerous driving is impressive. Hm. Boys will be boys! This entry was posted in Uncategorized on September 28, 2016 by Molly Mccarthy Tompson. Indoor Cycling: Treasure or Trend? 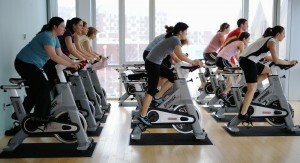 Exercise enthusiasts can’t stop talking about indoor cycling. Places such as Soulcycle and Flywheel are offering high end spin classes that they not only claim is an incredible workout, but an overall outstanding self-bettering experience. However, while I am a health-conscious individual, I am skeptical as to whether $25-$30 per class is really worth the trend. 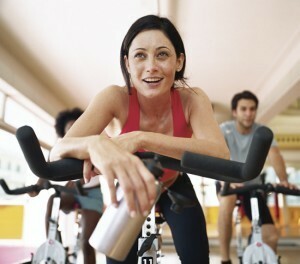 Do indoor cycling classes live up to their hype? In my personal workout experience, I love to attend spin classes. The music is motivating and upbeat, and it’s fun to imagine climbing and sprinting like it’s a real-life bike ride. I always leave a spin class sweating, which leads me to believe that it’s a great workout! Luckily, this American College of Sports Medicine article justifies my assumption. The article explains how the cardiovascular activity generated during indoor cycling is not only advantageous to your heart by reducing the risk of heart conditions and high blood pressure, but also strengthens your muscles, raises your endurance, and protects your joints. In terms of calorie burning, spinning is an incredible medium. As mentioned in the above ACSM article, spinning.com discovered that the average 45 minute spin class has the potential to burn between 400-600 calories. However, I somewhat am doubtful of this statistic, as today I took a 45 minute indoor cycling class at the IM building where I only burned around 300 calories. Maybe I just have to work harder to reap the physical benefits of my exercise! In addition to physical rewards, indoor cycling also enhanc es mental health. “The Brain Science of Biking,” an article by Shape, discusses how the act of cycling increases the “white matter,” or the tissue that is responsible for linking the various entities of your brain so that they can better communicate. Furthermore, cycling generates a protein that is tied to memorization and stress levels called brain-derived neurotrophic factor. This amplified memorization as a result of spinning was also found in a study done by the University of Illinois, which concludes that regularly cycling increases the hippocampus, or the part of the brain specializing in cognitive recollection, by 2%. Therefore, spinning is beneficial from both a physical and mental perspective according to science. Of course, all of these profits from the act of indoor cycling will vary by individual. For instance, one’s level of fitness, capability to spin with the right form, and their mental status prior to class. This explains why many people that I have questioned about the value of indoor cycling claim that a spin class is only as good as the instructor. This article addresses this downfall of indoor cycling, saying how failure to think and perform in a distinct way while cycling short-sells people of the potential benefits. Furthermore, another skepticism is the fact that spinning is not the only exercise that burns calories or aids memorization, so what makes it so special? This Business Insider article proposes that a potential answer to this question is the luxurious community appeal that places like SoulCycle and Flywheel use to attract their customers. These facilities utilize their high end reputation and strong branding to manipulate the consumer opinion that the workout will reward him or her beyond the capabilities of a traditional gym. They imply that cyclers will be a part of an elite and trendy community, and go through a one of a kind self-betterment process. Therefore, the upscale and fashion forward image of such indoor cycling gyms could be a confounding variable in the question of whether the workout lives up to the trend. Accumulating all of this information, I have come to believe that spinning is a worthwhile form of exercise if you’re there for the right reasons. It may sound like a line from The Bachelor, but it’s a valid differentiating factor in deciding whether spin classes are worth the trend. There is a line to be crossed where the schtick starts to override the actual exercise. People pay an exorbitant amount to spin because they get caught up in the brand rather than the bike. However, If you get on the bike with the mindset that you’re there for an intense workout and you’re going to give it your all, then you will reap the physical and mental benefits of indoor cycling that will live up to its popularity. This entry was posted in Uncategorized on September 28, 2016 by Hannah Marni Stern. While making cookies with my family I was wondering about what the real reason is that we shouldn’t eat raw cookie dough. Most people usually assume that you shouldn’t eat raw cookie dough because you run the risk of getting salmonella from the raw egg. But what if I told you that wasn’t the only reason? Studies show that it is not only is raw egg, but also flour that is making people sick. A recent report says that General Mills flour has sickened 45 people and has made a recall of 45 million pounds of its product. But why? What could be affecting flour in a way that its making people sick? Officials from the Food and Drug Administration analyzed samples of the flour and found that it was contaminated with two separate strands of E-Coli. Investigations have led to the disease being present in other sprout based food sources, but never flour. So how did the E-Coli get into the flour? Because wheat is not usually treated to kill bacteria, the product is more susceptible to pick up the disease. If livestock defecate in the field, then it increases the likelihood that the grain will pick up the bacteria that’s been causing so much illness. So what is the disease doing? The disease has been causing diarrhea and abdominal cramps. 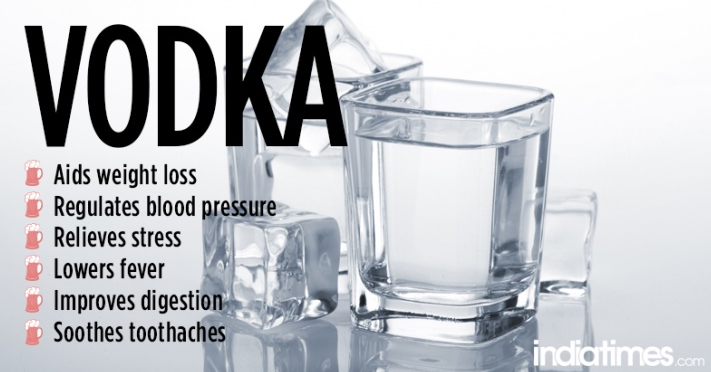 Some symptoms last longer than a week and persist such as Kidney failure. The disease has spread across 21 states. The FDA is aiding GM in the process of eliminating the disease in their products. When eating raw cookie dough, you should always be cautious. First and foremost, the consumption of raw egg is unhealthy. Furthermore, General Mills recent recall makes the decision even riskier. But what if you’re like me and you enjoy raw cookie dough and kind of don’t care? Just wait a while…..In the not too distant future, GM’s recall should be over and the flour they produce should be E-Coli free once more. So what can be taken away from all of this? First, if you have any General Mills products containing flour, you best throw them away. Second, avoid consuming any products containing raw flour. And Finally, eating raw egg is never a good idea. So the next time you’re making Chocolate chip cookies, think about what ingredients you used before you take a bite of the raw dough. This entry was posted in Uncategorized on September 28, 2016 by Victor William Gregory. I recently watched the movie, You Again and the part where the father eats blindfolded as a part of his diet really stuck with me. Does eating blindfolded actually prevent you from overeating? I mean there have been times where during dinner I would be eating and I would start to feel myself become full, but I still had food left on my plate so I would continue eating rather than stopping. If i had not known that food was there, would I still have wanted to continue eating? A husband and wife decided to do an experiment of their own. Every once in awhile one of them will blindfold themselves during dinner. Once they become full and feel finished, they take the blindfold off. This experiment resulted in them taking smaller portion sizes, paying attention to their body so they know when they are full,and making them feel less guilty when they do not finish all the food that was left on their plate. Every time I have dieted or tried to eat healthier I always ended up giving up and forgetting about the diet altogether. This article talks about a study conducted in Germany that shows people who are blindfolded while they eat consume less calories than people who can see their food. Some people also stated that the food tasted differently when they could not see it. Spicy foods taste spicier, sweet foods taste sweeter, bland foods (such as bread or crackers) have more flavor. When you take away one of your senses, the rest become stronger. When you can not see your food, you don’t feel the need to keep eating once you feel full and you can feel yourself become fuller more quickly since you are not focused on the food on your plate. According to Science Direct our behavior plays a role in determining how much food we consume. If you’re stressed you eat, if you’re happy you eat, if you’re sad you eat, if you’re bored you eat. Our bodies are used to eating even when we aren’t hungry. This article also talks about an experiment where they used 90 students to study taste perception of ice cream and the amount of ice cream the students estimated they would eat. Some of the students were blind folded and some of them were not. Those that were blind folded ate 9% less than those who were not . The students that were blindfolded also predicted that they would consume 88% more ice cream than they actually did. The students that were not blind folded only predicted that they would consume 35% more ice cream than they actually did. The scientists concluded that they experiment turned out the way it did because for the students that were blind folded, they had no visual input. Next time you’re eating, pay attention to other things besides just the food on your plate. Pay attention to your stomach, your head, even the way the food tastes. 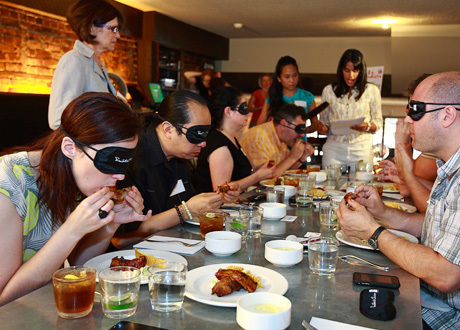 Experiment with yourself and blindfold yourself for a meal to see how much you are actually overeating. This entry was posted in Uncategorized on September 28, 2016 by Mallory Dixon. When you think of breakfast options, eggs are one of the most popular choices out there especially because they are known to be one of the most nutritious food sources out there. 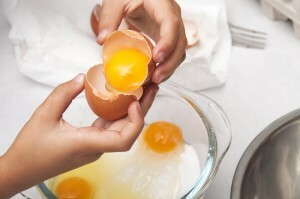 Whether they are scrambled, fried, or in an omelet you can’t go wrong with eating eggs because of their eloquent taste. 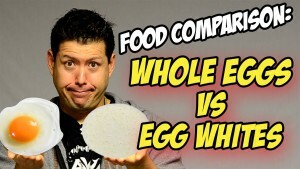 But the toughest decision is which part of the egg do you want, the whole egg or the egg white? 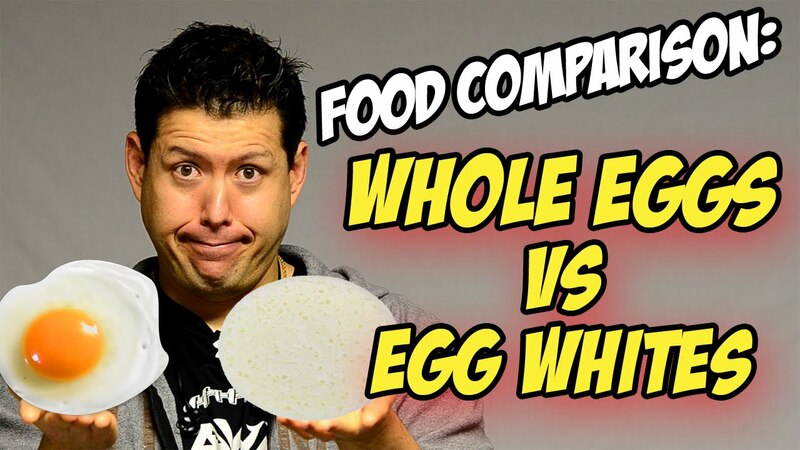 Lately egg whites are looked as one of the healthiest possible choices of foods on the market while regular eggs are perceived as the more unhealthy and even dangerous option. These interpretations aren’t necessarily true because they are both extremely healthy and both offer health benefits that the other doesn’t. Egg whites are a a great quick source of protein, as one egg white is loaded with 4 grams of protein according to PopSugar Fitness. Protein is an essential macronutrient that must be incorporated in your diet because your body needs it in order to stay healthy, increase muscle, and have blood flow successfully throughout the body. Egg whites are beneficial for people who want to loose weight because there are a lot less calories in an egg white. For example their are 17 calories in one egg instead on 72 in a whole egg. Those 17 calories are fully made from the protein because eggs whites don’t contain any carbs or fats. Another benefit of the egg whites is they have absolutely no cholesterol! The American Heart Association reveals that a person shouldn’t consume more than 300 of cholesterol per day in order to keep their body a healthy. This demonstrates the importance of egg whites because they don’t contain any cholesterol, while one regular egg has 213 milligrams. The egg white is a healthy option for people who want to cut their calories but they don’t contain all the vitamins and minerals a persons body needs. The truth is the egg yolk is healthier than the egg white because they contain all of the important vitamins, antioxidants, and minerals that your body needs. Whole eggs are a rare food source that contain Vitamin D, they also contain vitamin A, E, and K. The yolk has 90 percent of iron, calcium and even contain omega 3 fatty acids which are actually essential for the body and even prevent heart disease. Egg yolk also contains L-aginine which increase hormones and boost testosterone which increase overall energy. Also, if you are interested in obtaining more protein PopSugar Fitness shows us that is beneficial to eat the whole egg because there is 6 grams of protein opposed to only 4 grams in one egg white. Next time you think about ordering that egg white omelet just remember the only true benefit is their are less calories and fat in the egg white. If you want to obtain vitamins, minerals, more protein, and healthy nutrients it would make sense to order a full egg that has the yolk as well as the egg white. Egg yolk do contain more cholesterol and fat which definitely may scare a consumer but those ingredients are important in persons diet. This entry was posted in Uncategorized on September 27, 2016 by Derek William Drotman. “If you turn your phone in at the beginning of class, you will get 1% extra credit.” I couldn’t believe it. All I would have to do to get one whole percent of extra credit was separate myself from my phone for an hour and fifteen minutes? What a piece of cake. Would this really be a challenge for some people? I was rather taken aback (but grateful nonetheless) by this proposition. Unlike most of my professors assume, I am not addicted to my cell phone. Sure, I am susceptible to the occasional distraction of it, but I am fine taking a break from it. In fact, I even like it- I felt laser-focused without my cell phone by my side. However, it got me thinking- is my generation really that addicted to technology? Just as we have learned in class about the dangers of cigarettes addiction, I was curious about the dangers and reality of cell phone addiction. Recently I had to go on a nature walk for my BiSci class. In order to do this, we had to leave our cell phones behind with our TA. Again, as someone who is not emotionally attached to my cell phone, this was no issue for me. However, I can’t say the same for my other classmates. If I had a dollar for every time someone told me they missed their phone or where anxious without it, I would have been able to buy my way out of going on that walk. It was absolutely mind blowing how much they genuinely missed their phones. This experience made me even more curious about the reality of cell phone addiction. According to a study done by Science News for Students, many college students find themselves addicted to their cell phones. Out of the 24 hours in the day, the average college students finds themselves spending a whopping 9 of those on cellphone use alone. 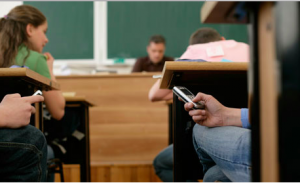 When students tried to distance themselves from their phones, they experienced similar symptoms that a drug addict may experience when going through withdraw. This study helps explain why so many of my classmates were agitated and upset when they were not by their phones. Another study done by Psychology Today showed that cell phone addiction is more serious it may sound. While many adults love to joke about teens being addicted to their devices, it can actually be quite a serious thing. In a study conducted in England, almost half of the people surveyed admitted to having separation anxiety from their cell phones when they lose it or are away from it. People who are so consumed in their cell phones may even experience symptoms such as having the impulse to constantly check their phone, slipping grades due to cell phone consumption, and they even may experience the sensation of getting a cell phone notification when there really was no notification at all. Many of these potential symptoms are very similar to the symptoms addicts of drugs experience, further perpetuating the notion that cell phones can be highly addictive. Granted, some of these “symptoms” of addiction could be due to numerous confounding variables. For example, I do not consider myself someone who constantly needs to be on their phone, yet even sometimes I find myself thinking my phone buzzed even when it didn’t. I feel as though we all think we hear one sound when in reality it is another from time to time. Also, the bit about cell phone addiction causing grades to slip is a bit of a shaky point. Grades can slip for a multitude of reasons such as stress, busy schedules, etc. Again, correlation does not mean causation, so just because someone may use their phone a lot and also have bad grades does not mean their phone usage is the reason for their grades. However, there is no denying that high cell phone usage can be very detrimental to some people and it can have negative effects. It is crazy that cell phones have become a rather dangerous piece of technology. Some people have actually been impacted so badly by cell phone addiction that they have had to seek help from therapy groups . I am to have evaded this crippling addiction, and I hope that those who were not as lucky as me can soon kick their addiction and focus on the important things in life. If you do believe you are addicted and simply don’t know where to start in order to overcome it, this article will give you a good idea of where to start. Now, get off your phone and start living life! This entry was posted in Uncategorized on September 27, 2016 by Margaret Marchok. During the past few SC 200 classes, we’ve learned that, after years and years of observational studies and experiments, smoking cigarettes causes lung cancer. When I was a child, one of my mother’s friends passed away from cigarette-induced lung cancer, so I found these lectures very engaging. When we discussed the risks associated with cigarette smoking (before the results of the experiments were confirmed), we also discussed confounding variables that might have caused the cancer. Some of the studies we examined suggested that sometimes people only smoked when they were stressed or while they were drinking. And I wondered, is there a correlation between smoking and drinking? What about smoking and other drugs? My hypothesis is that people who smoke cigarettes are more likely to both consume alcohol and do drugs than non-cigarette-smokers. One study I came across on the National Institute on Alcohol Abuse and Alcoholism, cigarettes and alcohol use complement each other. Some people were given regular cigarettes, and others were given nicotine-free cigarettes. 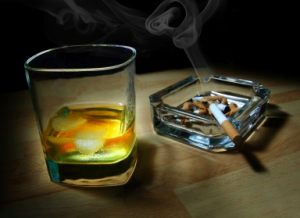 The people who smoked nicotine-filled cigarettes ended up drinking more alcohol. It also showed a reverse relationship, that the pleasure of cigarette use improves when simultaneously occurring with alcohol consumption. This is very interesting as a non-smoker. I never really knew that there was a pleasurable feeling that came from cigarettes–I kind of always just assumed people smoked because they were simply addicted and craved it. 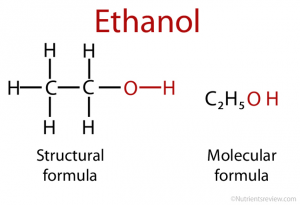 At the University of Missouri, according to author Dana Dovey on Medical Daily, the nicotine intake from smoking cigarettes counteracts the drowsy-effect alcohol had on drinkers. Who knew? The article also confirmed that the sensations that come from alcohol and cigarettes complement each other when simultaneously occurring. It stated that 90% of alcoholics were also cigarette smokers! Ok, so smoking and drinking usually happen together. But do cigarettes lead to use of other drugs? An experiment to find the answer to this would probably be unethical–people can’t really randomly be assigned to use illegal drugs (and it obviously wouldn’t be a double-blind experiment, either). 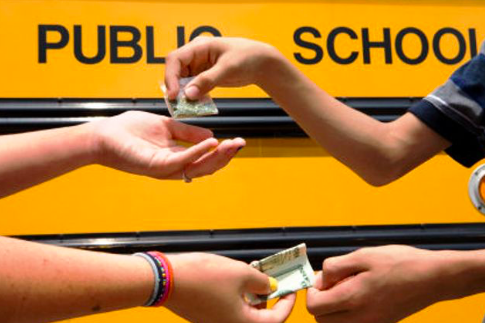 According to Tobacco Free Kids, over 2/3 of 12th graders who’d smoked weed had smoked cigarettes first, and 98% of the 12th graders who’d used cocaine and cigarettes preceded the cocaine use with cigarette smoking. Tobacco Free Kids also explains that kids who start smoking before the age of 15 are multiple times more likely to use illegal drugs like cocaine and marijuana. The article also describes that heavier smokers are also more inclined to do drugs than non-heavy smokers. 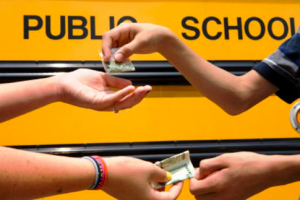 The Johns Hopkins Bloomberg School of Public Health shows the same results as Tobacco Free Kids, and emphasizes the fact that youthful smoking is the worst problem, causing kids to later turn to cocaine, weed, and crack. Cocaine is the most common drug used by childhood cigarette smokers. All in all, my hypothesis was correct. 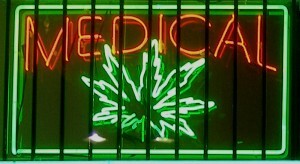 People who smoke usually also drink, and are more likely to turn to other illegal drug use later in life. The only issue is–the illegal drug and cigarette use correlation is simply that–correlation does not necessarily mean causation. Perhaps there could be other confounding variables.What if teens who start smoking young come from abusive households, and abusive households cause people to turn to drugs? There could be many possibilities. Sometimes when I watch TV at night, I see a commercial that claims our generation could be the one to completely eliminate cigarette use. Maybe, with the end of cigarette use, drug and alcohol use and consumption might decrease, overall increasing the health of our society. This entry was posted in Uncategorized on September 27, 2016 by Molly Mccarthy Tompson. This past week in class we have been discussing the use of cigarettes. Cigarettes are highly addictive things that a large portion of the population uses. Addiction has always interested me in a way. I have always wondered how our bodies can become so dependent on one thing. I guess one reason for this is that addiction runs in my genes. Past family members of mine have succumbed to alcohol addiction, so I know when the time comes and I am legal, I will have to be careful of that. I also know both of my grandparents used to smoke, but luckily they beat their addiction. I have fortunate to avoid addiction so far in my life. However, there is one exception to that statement. If I had to pick one things that I may be addicted to, it would definitely be…OREOS! Now, I know, many people out there love the classic crème filled cookie. I feel like my love of Oreos goes beyond that. When I eat one cookie, I simply can’t stop. Just having one turn into having three, and before I know it half of the box is gone. Ok, maybe that is an exaggeration, but you get the point. I just can’t stop. The other day I was sitting in my apartment doing some schoolwork when I remembered that my one roommate had bought birthday cake Oreos. I was stressed out from studying for an exam and I really just needed something sweet. Therefore, I went into the cabinet in search of those Oreos (don’t worry, I asked permission first). I had a few, and then a few more. I started to get up and reach for a third round of Oreos but stopped myself for fear of making myself sick. “Oreos are so addicting,” I remarked to my other roommate, “I really can’t stop eating them.” Much to my surprise, she remarked that studies have found that Oreos may be as addicting as cocaine. This really peaked my interest. Oreos are as addicting as cocaine? It couldn’t be. I know I love to joke about this Oreo addiction, but I had no idea there were studies done on the matter. Therefore, I sat down and did some research and what I found amazed me. According to this article, Oreos do in fact have the capability to be as addicting as cocaine. At Connecticut College researches conducted a study with rats. In one experiment, they were placed in a maze with a rice cake and Oreo. During the study the rats gravitated towards the Oreos. The same study was done with small cocaine injections and saline injections. The rats behaved the same way towards the cocaine as they did towards the Oreos. According to another article done by Forbes, the reason for this is that Oreos trigger the the portion of the brain that gives us the feeling of pleasure. Now if we look at this experiment, we can see many flaws in it. First of all, the rats tendency to gravitate towards Oreos does not necessarily mean they were addicted to them- it just means they preferred the Oreos to the alternative option. And let’s face it- who wouldn’t? I feel as though a better test as to whether the rats were addicted or not would to be to feed them a large amount of Oreos for an extended period of time and then cut the rats off. By monitoring their reaction to being cut off, I feel as though researches could get a better grasp on just how addictive Oreos are. 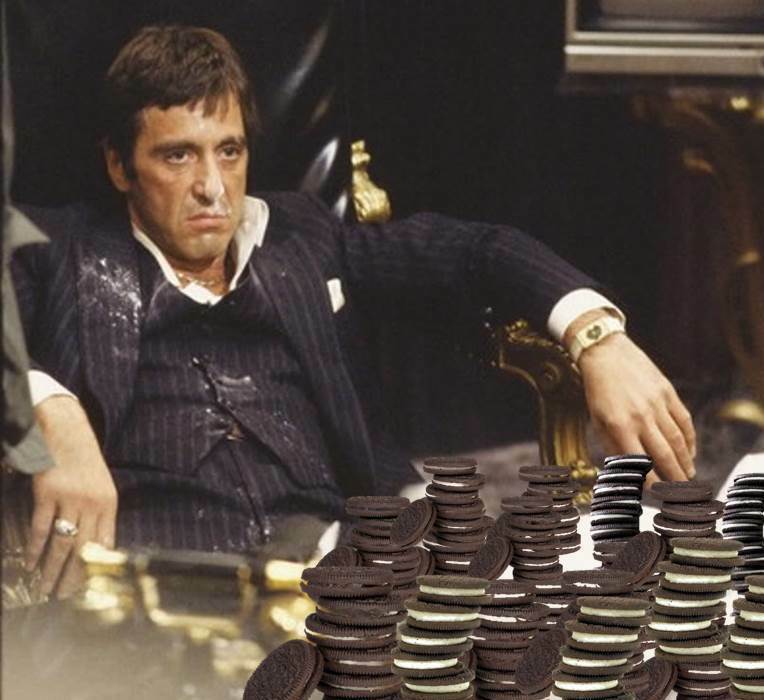 Although an Oreo addiction would be better than a cocaine addiction any day of the week, it still can be rather detrimental to your health. As Forbes magazine put it, the addicting qualities of sugary sweets create negative eating habits that worry many health professionals. It is pretty safe to say Oreos aren’t exactly the healthiest option for a snack. Knowing what I know now, I definitely will be laying off the Oreos. 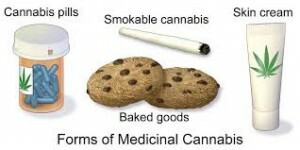 While they certainly are a joy to eat, the harmful effects of the cookies will not be so fun later on in life. Bye-bye Oreos- no more addiction for me. Does drinking water before an exam help you do better? Sitting at my desk I looked at the multitudes of empty plastic water bottles that I was waiting to recycle. I noticed that I had consumed more water than usual, and that I also had a great week academically. Could the two be connected? I found an interesting article that answered that question. It discussed the possibility that drinking water before an exam could make you a better student. Is this true? Could doing such a simple task actually improve my grades? After watching the people around me and realizing the number of students with and without bottles of water on campus, I decided to dig deeper. Is there another combination of events that causes this? It could be that a third variable is increasing the scores of those students whom are drinking water before an exam. This possible third variable could be anything from prior experience with exams, students being more physically active and therefore are thirstier, or it could be that smarter students in general tend to be healthier and drink more water than the average student. That being said, we can safely rule out reverse correlation, because receiving a higher grade cannot cause you to go back in time to drink water before the exam. A study conducted by the universities of East London and Westminster, examined the testing scores of 447 students. Only 25% of the students had a bottle of water with them during the exam. The researchers accounted for the students’ previous academic ability, and found that who drink water before an exam could expect 10% higher scores than those who do not. The study also showed that students who drink water before an exam are likely to have less test-anxiety. The action of drinking water briefly distracts the student and can alleviate stress and anxiety which can positively affect exam scores. Water is necessary for our everyday life. Every part of our body utilizes water, including our brains. Water has been proven to aid certain processes such as absorbing metabolic heat. It has also been noted that water not only aids in the transportation and distribution of nutrients, but also helps us maintain blood volume. A recent study said that dehydration can negatively influence our cognitive functioning, specifically our short-term memory and our mathematic ability. In the experiment, participants were dehydrated up to 2.8% by physical exercise, or exposure to high temperatures. They were later given a series of test for memory, visual perception, and psychomotor skills. 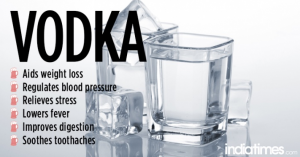 The study proved that dehydration negatively affected the participant’s cognitive ability. So what can you take away from all of this? First, drinking water aids a number of bodily functions including cognitive function. Second, drinking water can reduce your test-anxiety. And third, student who consume 8 ounces or more of water before an exam are 10% more likely to receive a higher grade than those whom do not. Because a lack of water is proven to negatively affect cognitive ability, we can say with certainty that the consumption of water, and performance on an exam are directly related. Although we cannot completely rule out a third variable, it is unlikely the cause. These articles have shown that drinking water before an exam does positively influence your score and can ultimately improve your grades making you a better student. I because this is such an easy task, I can’t think of a reason why any reasonable person wouldn’t at least give it a shot. I know that I certainly will be drinking a bottle of water before Andrew’s next exam. This entry was posted in Uncategorized on September 27, 2016 by Victor William Gregory.